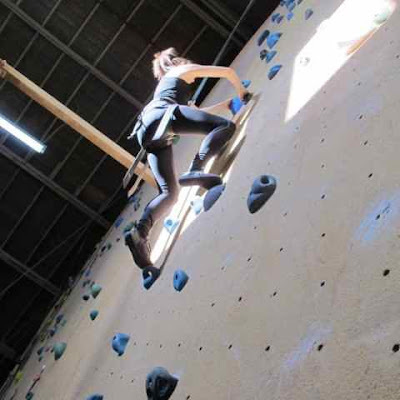 The Hip & Urban Girl's Guide: Activity-A-Week: Go Rock Climbing! Lisa Jackson is our guest blogger this week for our activity-a-week column as I recover from a cold. Hope it's a source of active inspiration and gets you out to try something new. 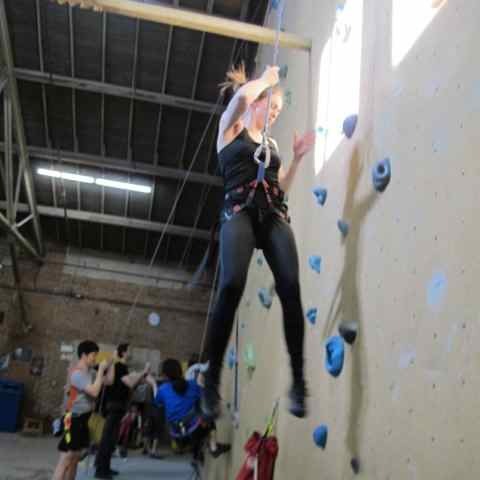 This week, I headed to Rock Oasis, an indoor rock climbing gym located in Toronto’s east end. There’s no better way to spend a Saturday morning than scaling a wall. This was the most fun I’ve had exercising in…well…pretty much ever! To start out, I took the introductory lesson with Noel, a certified climbing instructor at Rock Oasis. At first, I was really nervous about climbing since I’m such a klutz. But Rock Oasis puts a huge emphasis on safety. Climbing partners constantly perform checks on each other to ensure their harnesses are secured and the safety rope is tied properly. 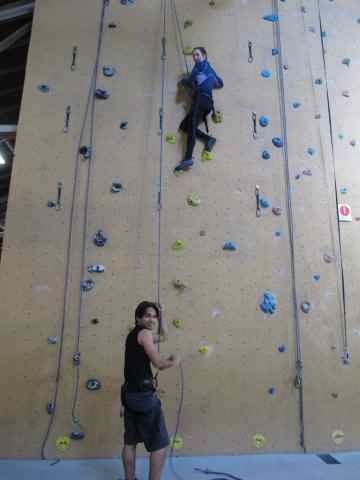 With guidance from Noel, I got the hang of climbing in less than an hour and a half. For the first part of the lesson, I learned how to put on a harness, tie into the safety rope, belay (manage the safety rope), and perform a safety check on my climbing partner. Then, we took turns belaying and climbing. Climbing is done in pairs: one person climbs and one belays (manages the safety rope) and then switch. Soon I was hooked! For me, the biggest challenge was letting go of the wall. 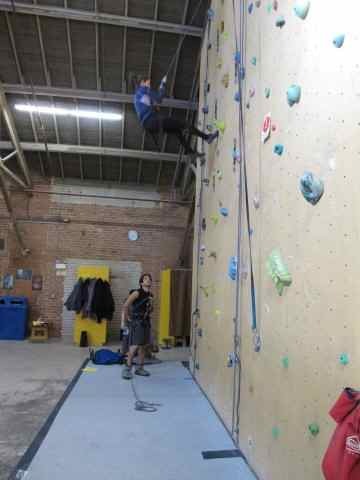 When I got to the top of the wall, I was supposed to release my grip and sit back – and basically put my life into the hands of my partner, who was belaying below. Talk about getting over trust issues! But with Noel’s encouragement and reassurance that I wouldn’t plummet to my death, I let go and slowly descended to the ground. It was a THRILLING experience. I felt so empowered. Rock climbing is a fab muscle builder. My body was sore from pulling myself up the wall. It also exercises the mind – part of the challenge was figuring out my next move. 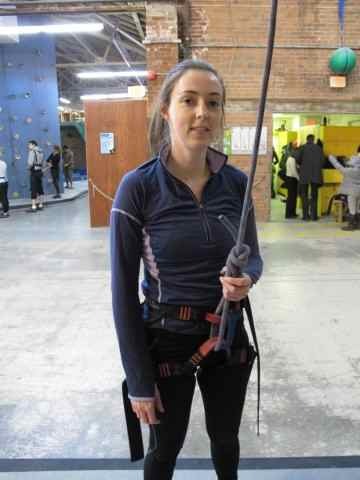 Don’t miss trying out the automatic belaying machine – it drops you a bit faster, and gives you a major adrenaline rush! New climbers must take the introductory lesson, which is $35 and includes all the equipment. Afterwards, you can stay and climb as much as you like. For the Hip and Urban Mom, rock climbing is a perfect family activity. Kids of all ages can climb, and I saw four-year-olds scrambling up the walls like Spiderman. 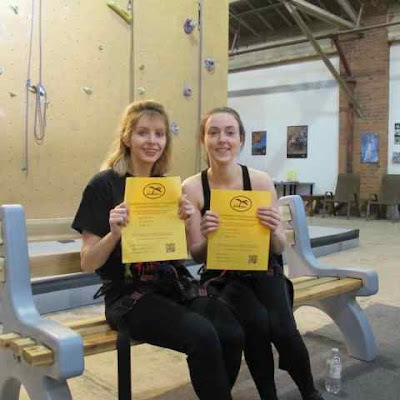 Rock Oasis also hosts birthday parties as well as climbing camps during the March Break and the summer. Wear loose gym clothes and dress in layers, as it can get quite hot climbing and cooler if you’re belaying. Rock Oasis rents climbing shoes for $6. Lockers are available, and you can bring your own Dudley lock. Overall, this was an awesome experience with a great mental and physical workout. 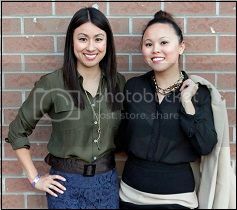 (416) 703-3434 – call for bookings. Open 365 days a year, and regular hours are 9AM to 11PM. TTC: Fastest way from the downtown core is to take the #506 Carlton Streetcar and get off at Carlaw. Walk south for 2 minutes.